Kerry Blevins Obituary - Elkton, Maryland - R.T. Foard Funeral Home, P.A. 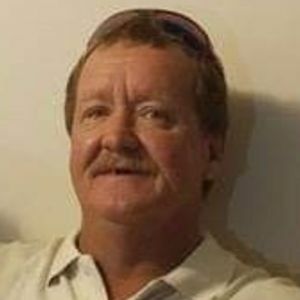 Kerry "Dale" Blevins, Sr., age 58 of Elkton, MD passed away on Wednesday, March 13, 2019. He was born on January 5, 1961 in Elkton, MD to the late James L. and Janet (Brumit) Blevins. Dale worked for A1 Concrete of Chesapeake City, MD as a concrete finisher. He was a hard worker who loved what he did. When he was not working, he cherished his time spent with his family, especially with his grandchildren and great grandchildren. Dale is survived by his loving wife, Vickie L. Blevins; two sons: Kerry D. Blevins, Jr. and Nathan Blevins; two daughters: Sonya Blevins and Stacie Rhoades; eight grandchildren and five great grandchildren. He is also survived by his brother, Eddie Blevins and his wife, Bonnie and his four sisters: Joyce McDowell and her husband Bill, Belva Marlow and her husband, John, Rose McClellan and her husband, Guy and Teresa Murray and her husband, Dave. A family directed celebration of Dale's life will be held at a later date at the family's convenience. Add your thoughts, prayers or a condolence to Kerry's guestbook. Please enhance this tribute to Dale by adding your memories and photos.